11am - 6pm, Tuesday through Sunday. The "Colour and Light" exhibition at Skylark Galleries 2 OXO Tower pairs Sara Sherwood's sweeping cityscapes side by side with Trinidad Ball's expressive portraits and representational paintings. Together these two artists share a unique passion for and understanding of colour and light. This exhibition is a fantastic opportunity to see two of our artists showing their work side by side in a collaborative format. Sara Sherwood's cityscapes -- skylines of London -- are expressed in contemporary abstract form with beautiful light and flowing colours. The paintings are contemporary, bright and uplifting, with a depth and drama that is unique to Sara Sherwood's work. 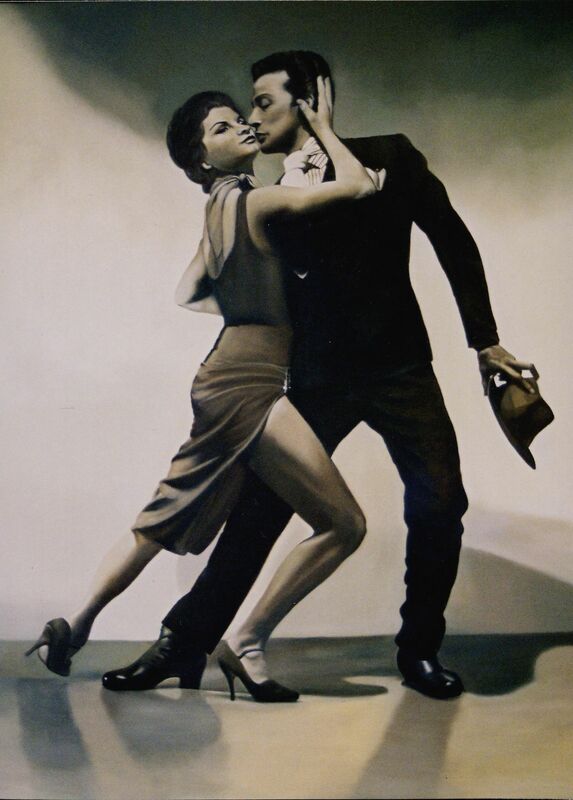 Also featured in this exhibition is Trinidad Ball, an exceptionally talented artist who captures moments with drama and style in her representational works. 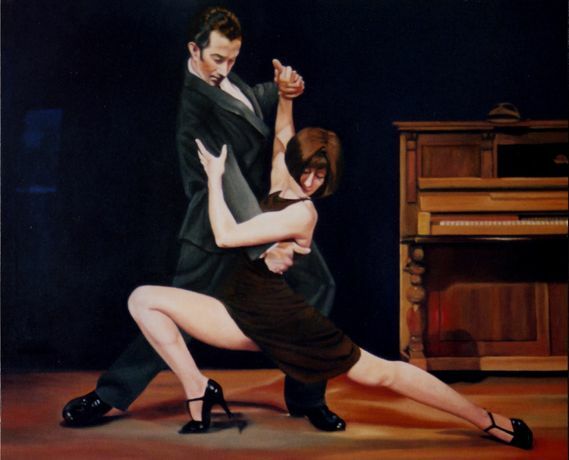 Trinidad's paintings of the tango dance, experienced as part of the Uruguayan culture that is her heritage, are a powerful and exciting aspect of this joint exhibition. Trinidad will be at Skylark Galleries 2 on the 9th, 10th, 14th, 15th, and 16th of August, during our normal gallery hours (11am to 6pm). The works will be featured at Skylark Galleries 2 until 6pm on 19 August and both artists will be in the gallery to meet visitors and answer questions on the exibition's closing day, 19th August.